These magnets are incredibly strong and never fail to impress. These magnets go through rigorous four-time coating process that prevents signs of corrosion. 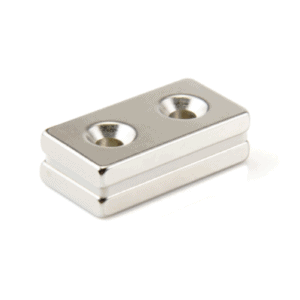 The magnets are coated in four layers of Nickel, Copper and Boron to enhance the lifespan of the magnet and the coating also provides a smooth finish. These magnets are commonly used commercially in industries like engineering, manufacturing and packaging for their incredibly strong magnetic properties. They are also often used in theatre design, model making, exhibition design and furniture making. The magnets are also commonly used as shock absorbers by repelling the magnets against each other.